More than 25 people were caught smoking contraband cigarettes in an enforcement operation by the Singapore Customs last Friday. 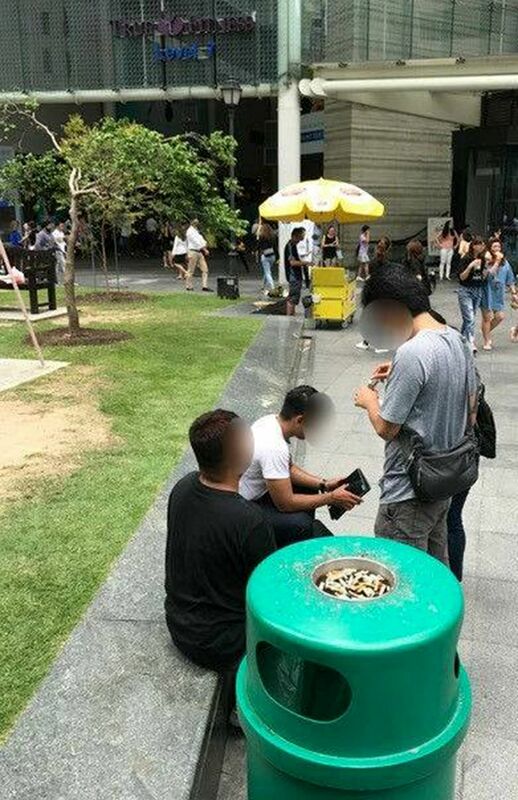 In a Facebook post on Monday, the Singapore Customs said that plainclothes officers were out in the Central Business District to look for smokers with contraband cigarettes. It added that such operations are conducted islandwide to curb the demand for these illegal cigarettes. Contraband cigarettes do not come with the SDPC - or Singapore Duty-Paid Cigarette - mark, which was revised in 2013 to feature a series of vertical lines around the cigarette stick, in addition to the letters "SDPC". Those who were caught were given fines known as composition sums, added the Singapore Customs in its Facebook post. The composition sum for a first-time offender who has up to one packet of duty-unpaid cigarettes in his possession is $500. Heavier penalties will apply if the person is found with more than one packet of duty-unpaid cigarettes and/or if he is a repeat offender.